Bár honlapunkat régen frissítettük, ezt nem jelenti azt, hogy tétlenül telt ez az idő. Az "A" alom összes kutyusa szerető otthonra lelt. 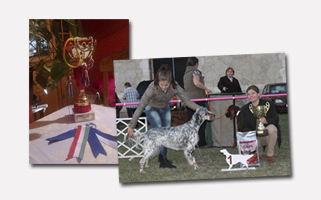 Molly a Debreceni CACIB kiálításon Fajtagyőztes lett, ezáltal megszerezte a Hungária Grand Champion címet. Scarlett Esztergomban, Debrecenben HPJ és Best Junior eredményt ért el, ezzel teljesítette a Hungaria Junior Champion feltételeit, amire a legbüszkébbek vagyunk, első saját tenyésztésű kutyaként a Komáromban rendezett Szetter Klubkiállításon a HPJ cím mellett a Fiatal Klubgyőztes Címet is megszerezte. Hamarosan részletesen is beszámolunk az év eseményeiről a Kiállítások oldalon és tervezés alatt van Scarlett saját oldala is. We was a show after a long oversight. On the show of MEOE-FEHOVA CAC , CACIB Air Force One was the FIRST Silvermagnolia, who was showed there. praise Réka for the nice handling and wish our Force a very sucessful show carrier. I am very proud of them! More pictures and judgingpaper wer are publish in the site of the show. We are look for a friendly family for Force! We made a new pictures from Air Force One, who wait his new owner. In the last two weeks Aurora and Ariel going to the new family. Now we have only one puppy - Air Force One - who is free. We are ready with our first "professional picture report". I would like to thanks to Nelly and Ildiko for the persistent work and the nice pictures! The 7,5 weeks old pictures can be look to the site of puppies. We finish the site of the 2008, 2009 and 2010 shows. 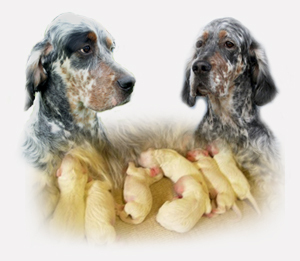 It is my pleasure to inform you that puppies were born on 26 July. We have now 5 females and 2 males. All puppies and their mother are doing well! 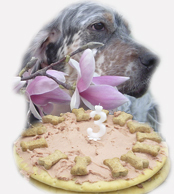 We celebrate the 3rd birthday to Molly on 20 May. We don't can meet with Smiley and Lucky, like the last time, but we visit Storm mayn times in the last week. We hope will be have a good news two months later, what we can be write to the site of puppies. 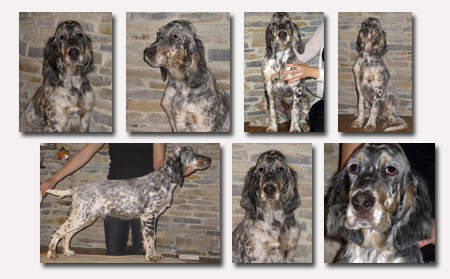 We visit the Setter Clubshow in Szilvásvárad. 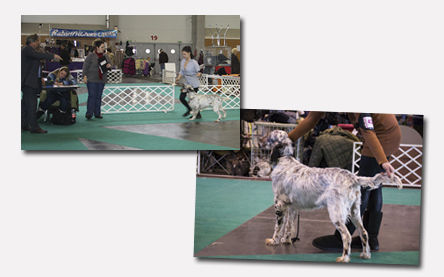 Molly was the first time in Champion class and she got a nice result!!! 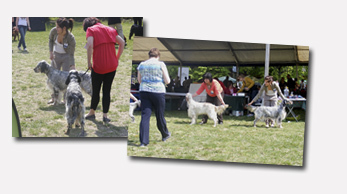 We would like to thanks to Nikki Ruigrok (IRL) for the judging, and to comitee for the nice and sunny day! A very warm welcome to everyone, visting our new website! Hope you will enjoy it and come back often!